I switched on my laptop this morning to be greeted by a message telling me that there were 9,321 updates being loaded and the stern but helpful warning, “Do not turn off your computer”. I sat and watched the screen for a bit, then went downstairs and bought a coffee. By the time I returned, the screen told me the updates were being installed and that I should not turn off my computer. Another 15 minutes of patient waiting and Microsoft permitted me to restart my computer and get to work. 30 minutes into my working day, I could sense no appreciable improvement to the quality of my life from the 9,321 updates. It also gave me pause to contemplate how it is that, in the 12 hours since I turned my computer off, so many updates accumulate, and why the urgency to get them installed. I must remember to ask Bill Gates next time I see him. I have read a lot of commentary regarding the up-and-coming demise of the Chinese economy and the impact on we 'Orstraaalyuns'. The overriding aspect missing from all the commentary I've perused is that the data is cumulative. Some commentators seem to have forgotten their grade four arithmetic lessons on the power of compounding. Let’s deal with the facts. The chart below shows the annual value (US dollar equivalent) of the Chinese economy; note the gentle uptrend of the bars. The figure for 2017 is USD12.2 trillion - USD12,237,700,000,000.00 – sort of makes the two decimal places a bit superfluous. 2017 showed a gain of 9.3% over 2016. Now in 2018, GDP has grown by 6.6%, making the value of the economy USD13,045,388,200,000. Annual value of the Chinese economy. Growth comparison between China and Australia. They say a picture is worth a thousand words. Well, here are just a few to help digest the picture. I provided the numbers on the Chinese economy above; Australia by comparison is USD1.3 trillion. Again, note the gently up-trending line showing the percentage rate of growth for China versus the volatile sideways trend for Australia. Lastly, here is the year-on-year bar chart of Australian GDP value. It looks like we all have to work a bit harder, and it wouldn’t hurt the government to rejig the tax take to incentivise us to do so. Britain has recorded its highest level of employment on record with 32.54 million people gainfully contributing to the nation’s wealth. The workers are being rewarded, too, with average earnings growing by 3.3% in the 12 months to November. 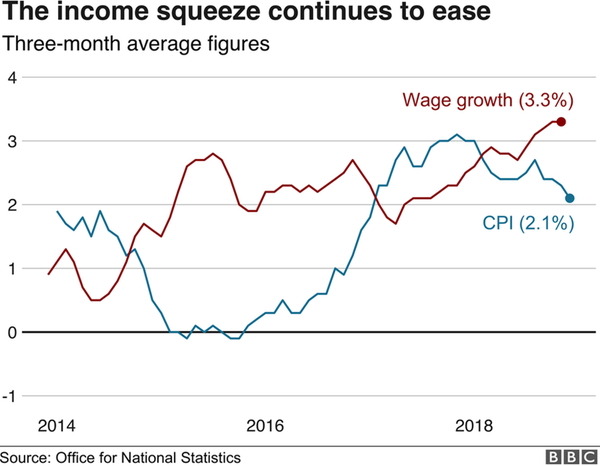 Wages are outpacing inflation, which is good news for British workers. The income squeeze is easing. Investors around the world focused on the Chinese GDP numbers and elected to drive all the major stock indices lower. 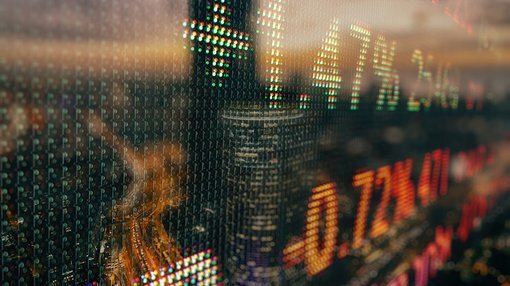 The American markets are still trading as I type; the S&P and Nasdaq are down 1.7% and 2.2% respectively, and our futures are down 28 points. The Australian dollar is also weaker at USD0.7116.